It is designed for extremely high reliability in different ambient conditions from -50 up to 55 degrees Celsius. 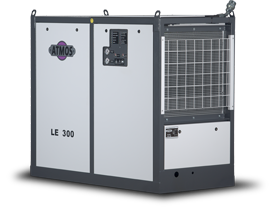 The frequency controlled compressors are equipped with specially developed electric motor with high efficiency over the whole working period. All models have been subject to extensive government authority investigations and long term tests resulting in a product capable of ensuring rail passenger safety. Our considerable experience enables us to supply the products which work for years in non stop applications.